If you know me, you know I like things that are insanely easy to make but look somewhat impressive. Anything that can make people go "oooh" when you present it to them, but hasn't taken hours and hours to make is perfection in my books. I have better things to do than slave away in the kitchen. Things like watch Netflix, check my Facebook or have a nap. IMPORTANT THINGS! 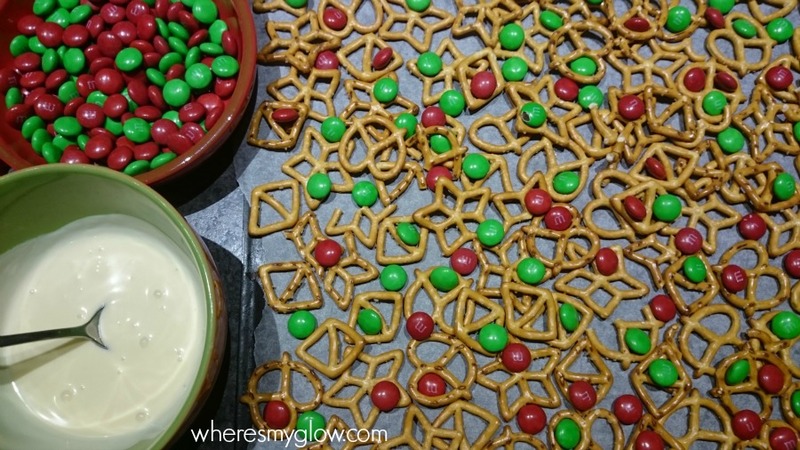 Fudge Christmas Trees with only two main ingredients? Check! Three Ingredient Choc Mint Truffles? Check! Three Ingredient Choc Orange Truffles? Check! I could go on and on, but I won't because you'll lose interest. Oh, look, something shiny. 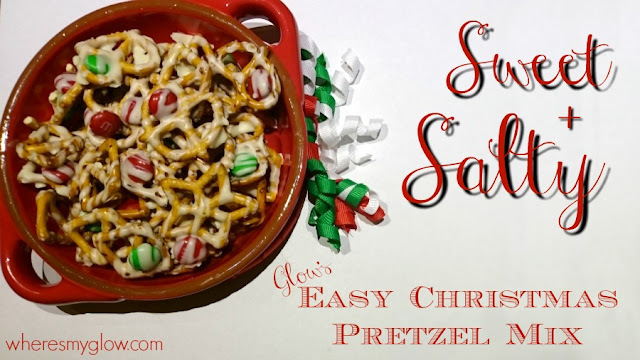 So last year I had some pretzels and some Christmas M&Ms hanging around and I put them in my mouth at the same time because every bloody food blogger around was going on about the taste sensation that is salty and sweet and I thought it was about time I tried it. Yeah. So they weren't bangin' on about it for nothing. But I wanted more sweet so I had an idea and went about making this Christmas Pretzel Mix all stuck together. I figured I'd make some for friends and family, presented in gorgeous gift boxes, then also had some on hand at home because YUM. 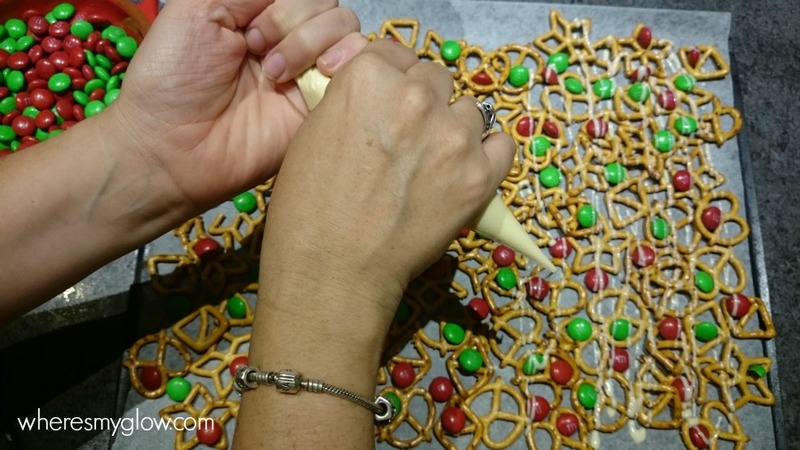 The clumps of pretzels and M&Ms with the white chocolate "glue" holding it all together create that amazing collision of saltiness and sweetness. So Christmassy and delicious, but you've barely done anything!